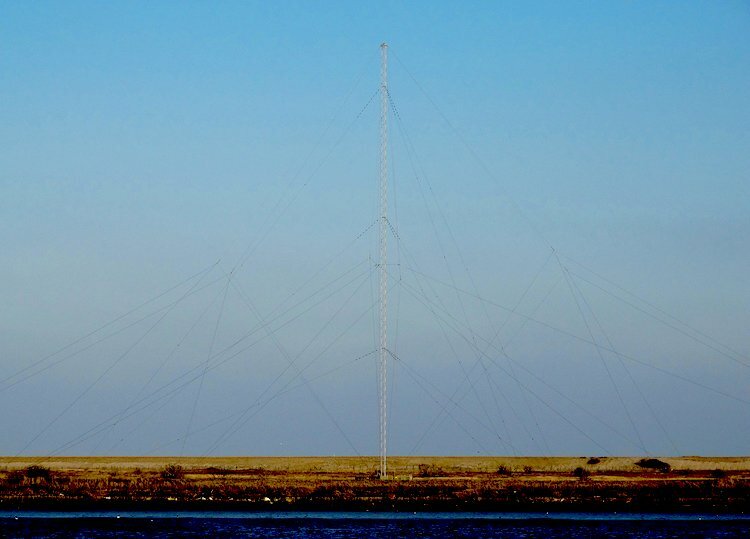 Radio Caroline started transmissions using the reserve 648 kHz mast in November 2017. As I was in the area, and the sun was out, I thought I'd take a look. Studying the maps I could see that a footpath which runs along the west bank of the River Alde would get me to about 500m from this mast. Even though the sun was out, the visibility wasn't as good as I had hoped for. There was also a cold northeasterly wind to freeze my hands while I was taking these pictures. The site. 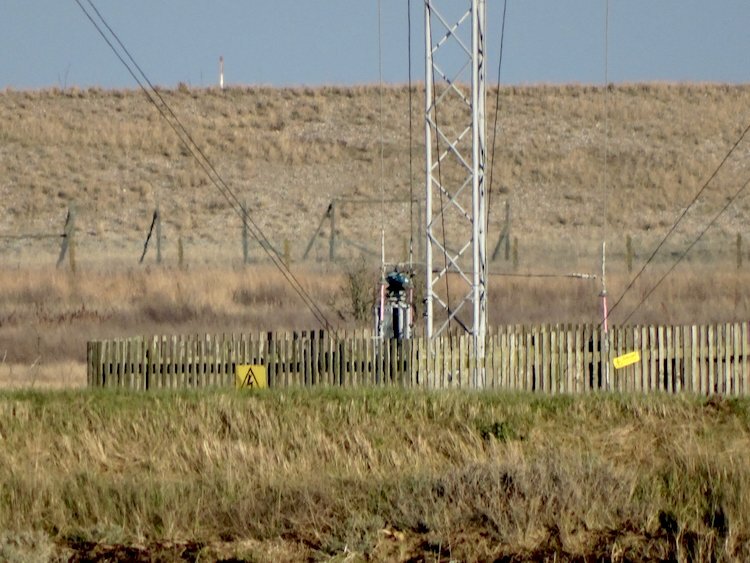 Four of the five main 648 kHz towers can just be seen. 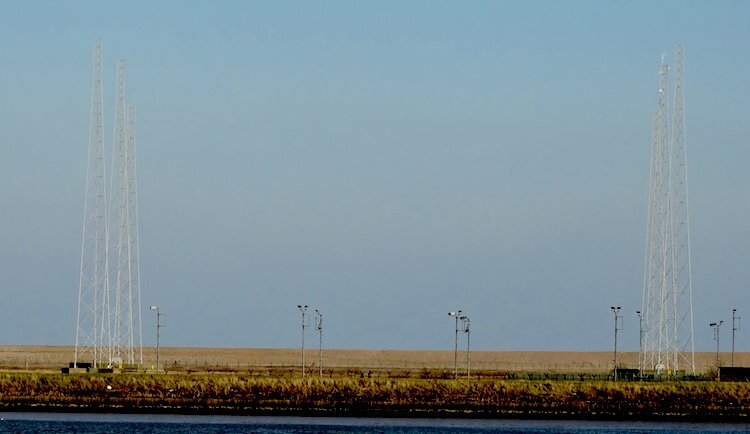 The Radio Caroline mast. (648 kHz reserve). I'm informed that the aerial design is that of a "full length folded unipole". The mast is grounded. 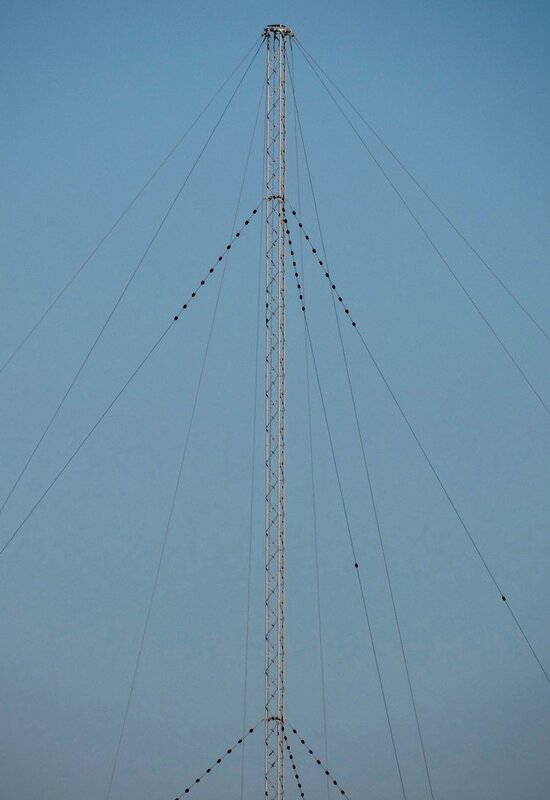 Three near vertical wires run from the mast base to the top, joined and tensioned in the middle by some stretchy type rope. At the top there are also six top-hat wires. 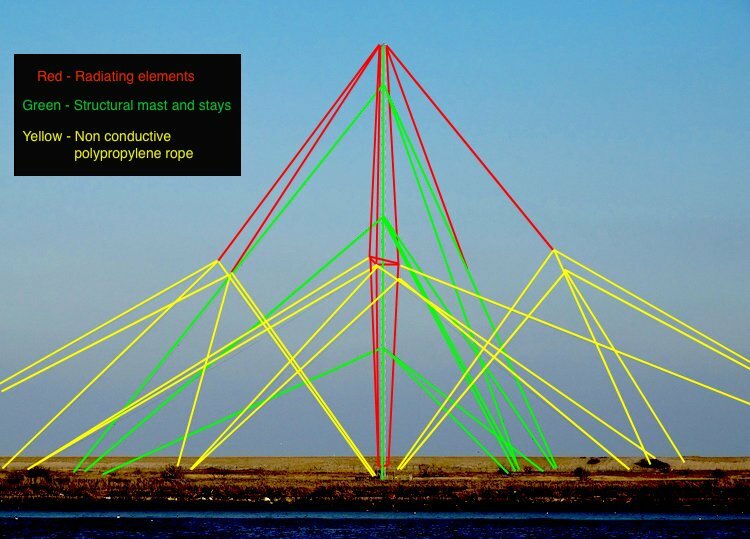 The wires with all the egg type insulators are the mast stays, keeping the structure upright. 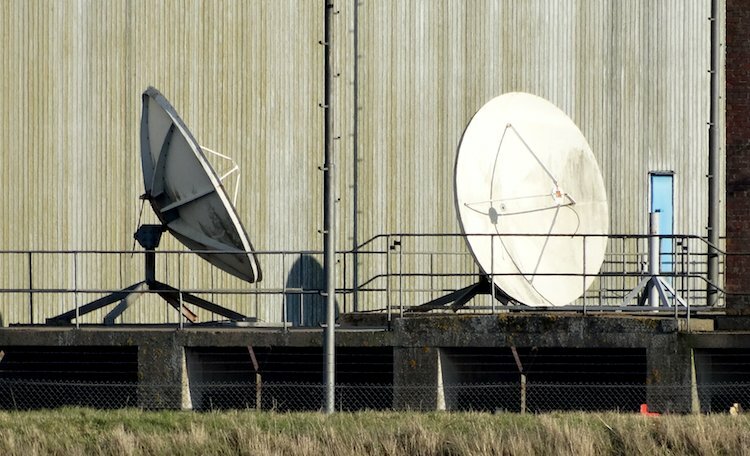 They are not part of the aerial system. 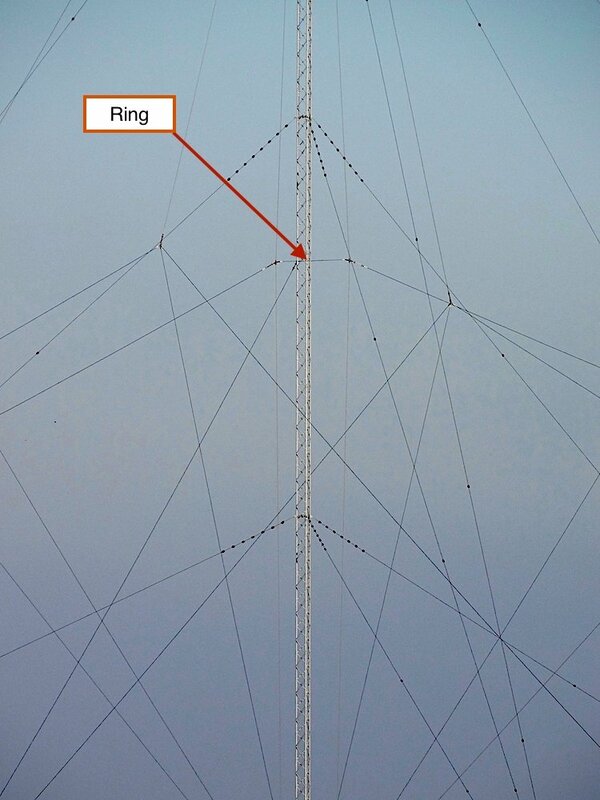 As indicated, the three vertical wires are joined by a ring in the middle. Its position is used to adjust the tuning (it gives a phase reversal, so capacitance becomes inductance and vice-versa), so it is positioned to give a perfect 50 ohm match at the bottom. There is no ATU at the base as this design doesn't require one. It is inherently 50 ohms without reactance because it is cancelled out in the aerial design. 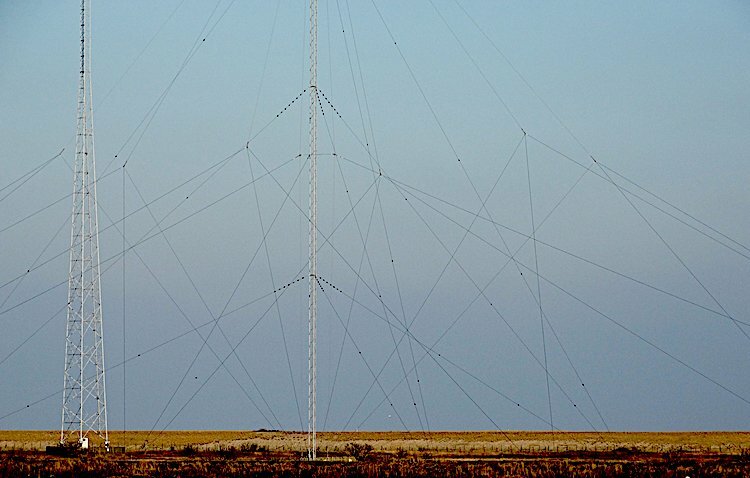 The six towers formerly transmitting 1296 kHz.